All of this year’s Valentine Dinner Trains have now sold out. The next trains operating will be our Sunset BBQ Dinner Trains, which were extremely popular in 2018. 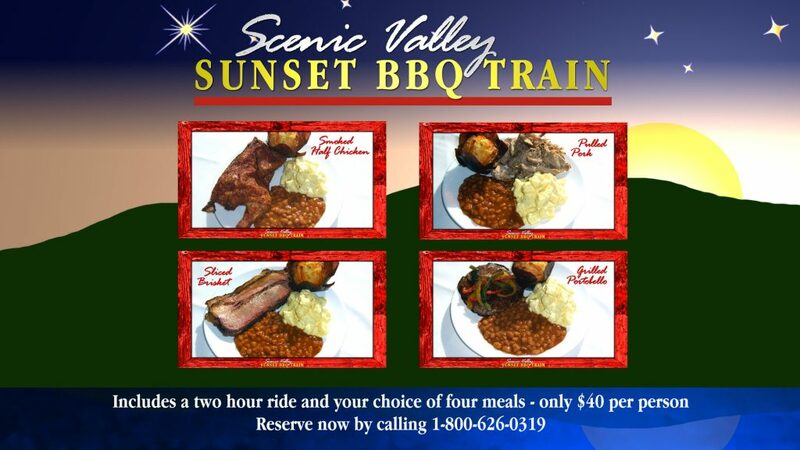 This year, the Sunset BBQ Dinner Trains will be operating on Saturday evenings in March and April (excluding March 2). Tickets are just $40 per person, and include a 2+ hour ride, and your choice of smoked chicken, pulled pork, sliced brisket, or a grilled Portobello mushroom. All meals include a fresh cornbread muffin, baked beans, and potato salad. For reservations, call 1-800-626-0319, or 515-432-4249. All aboard!